A Prenuptial (also known as a prenup) or postnuptial agreement are written contracts executed prior to or after a wedding. The goal of a prenup or postnup agreement is to settle the couples affairs and assets in the event of separation or divorce. There is a distinct difference between prenup and postnuptial agreements. The primary difference is the date at which they are signed. A prenuptial agreement is signed before the marriage. They are generally enforceable as long as they are fair, equitable, reasonable, and voluntarily entered into with a full understanding of the rights and assets of each party. Prenuptial agreements are generally uncommon because it is unusual for couples to enter into a marriage with an agreement already in place regarding the end of the relationship. Postnuptial agreements have the same function as a prenup, but they are established after the wedding. Often people with troubled marriages that are looking to try to resolve issues will consider postnuptial agreements. These parties may want to limit the continued interest that the other spouse will receive in marital assets if reconciliation is not successful. Is a Marital Agreement (Prenup) Right For You? A prenup or postnuptial agreement provide couples comfort in knowing their assets are protected in the event of an unsuccessful marriage. If you are entering into a second or third marriage, and have significant assets, a marital agreement may be right for you. 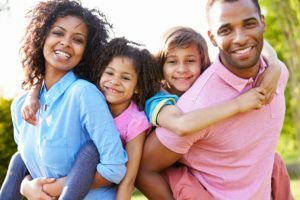 If you have children or grandchildren from a prior marriage, you may want to state up-front, how they will be treated in case of a divorce from a subsequent spouse. Many significant assets including real estate and investments are extremely important to us and we want to ensure they are considered first in a marital agreement. If any of these concerns appeal to you, and you would like protection for them in the event of a divorce or separation, then a prenup or postnup agreement will prove beneficial for you. Contact us at 248-676-1000 to schedule a consultation to discuss whether a marital agreement is right for you.